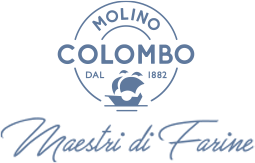 Molino Colombo has created a line of semi-finished products for pastry that have featured the ease of use even for those without specific knowledge in the art of pastry. Dolcesol is a semifinished for leavened pastes particularly suitable for the production of this type of products (panettone, pandoro, colombe, veneziane and some types of sweets such as braided, or venetian focaccia or pan frutto). The product is characterized by the excellent quality and richness of raw materials and ease of use during product processing. Dolcesol Lievitate Paste is a clean label product and it is characterized by the absence of mono-diglycerides of fatty acids while maintaining an exceptional softness and preservability of the product. To be used in conjunction with NaturSol (see Improvers Molino del Sole). Dolcesol for Croissants is a complete mix obtained from a Manitoba flour of high quality and ingredients of first choice: this simplifies and accelerates the processing of a wide range ofleavened products. Provides excellent stability during risingand high volume of finished goods. Dolcesol Rice is a mixture suitable for the production of biscuits to the rice. It’s very easy production mode even for those who havespecific knowledge in the field of pasty. Dolcesol Tortanera is a mix for the production of dark chocolate cakes and muffins. It’s easy to use; just add water to the dough to get so many fabulous pies … to orange, pears, raspberry jam or with fresh cream.